Air travel can be stressful, and that is particularly true during the holidays when millions of Americans take to the skies. 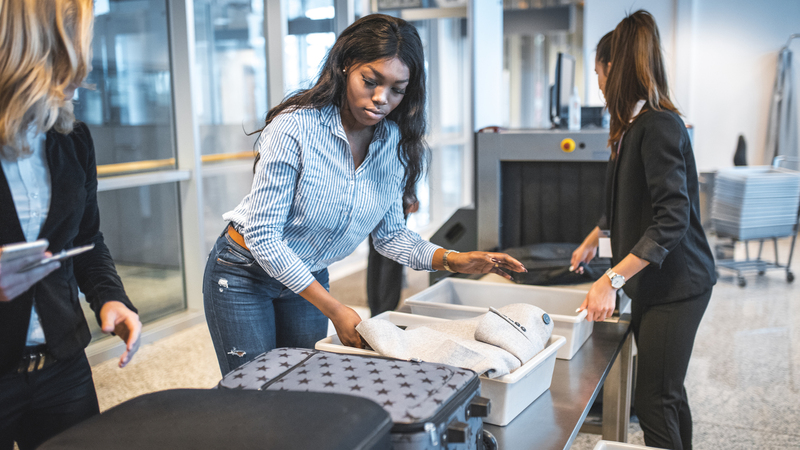 But if you are traveling with a suitcase full of presents, you could be setting yourself up for disaster, as the Transportation Security Administration can unwrap your gifts. So what should you do to avoid a travel nightmare? The easiest solution is to wrap your gift(s) when you arrive, but if you must have your present ready upon arrival, the TSA recommends using a box or bag. Travelers should also avoid banned items, including liquids and larger snow globes in carry-ons and flammables in checked bags. This includes Christmas crackers. Oh, and regardless of what you are carrying, the TSA recommends arriving early. But perhaps the most important thing to remember is to breathe, because while the airports may be crowded and tensions may be high, tis’ the season of laughing, loving and giving. So be polite, wave and share a smile. We’re all in this together.